Another firearm restriction may emerge from the Oregon Capitol this year. We all say we want to keep guns out of the hands of crazy people. How do we do that? Not, I hope, the way it would be done under a proposed law the 2016 legislature may be asked to adopt. 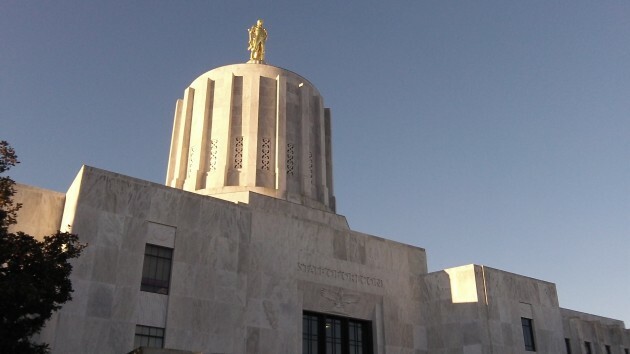 The Oregon Firearms Federation and others have called attention to LC 250, the draft of a bill the Senate Judiciary Committee may introduce when the session starts next month. The bill would authorize certain “reporters” to notify the state police of anyone they know who is having a “mental health emergency.” Once it receives such a report, the state police would bar the person named from buying a firearm for 30 days. The people authorized to make the reports would be family members, employers, health care providers and educators in schools and universities. But what’s a “mental health emergency”? The bill talks of people who might be a danger to themselves and others. But what would be enough to show that? An angry outburst? A wild-eyed threat? Any heated disagreement? Or just a nasty sideways look? Further, anyone reported as having such an emergency, under the bill, would not be notified unless he actually tried to buy a gun, underwent the mandatory background check and paid the required fee. Once he did find out, he could ask a court to cancel the restriction but would have to prove that he wasn’t nuts. It’s impossible to see how this would work. The bill shows how hard it is to keep guns out of the hands of people who, under the circumstances at the time, should not have them. It also demonstrates something else, something that opponents of further restrictions on the right to bear arms keep pointing out: No matter what restrictions are enacted — like last year’s universal background check in Oregon — anti-gunners always come up with the next step. What happens if the person who has a mental health emergency already owns a weapon? If the person has previously passed a background check, then perhaps the MHE report becomes grounds for a search warrant and a seizure of the weapon. Wow, a nanny state for all ages? Following that thesis, people are the cause of the high-casualty-single-shooter events. It’s obvious what won’t work to control that cause. The rants have been repeated so often that they could be considered a litany. Tell me what can work. I’ll listen to that.